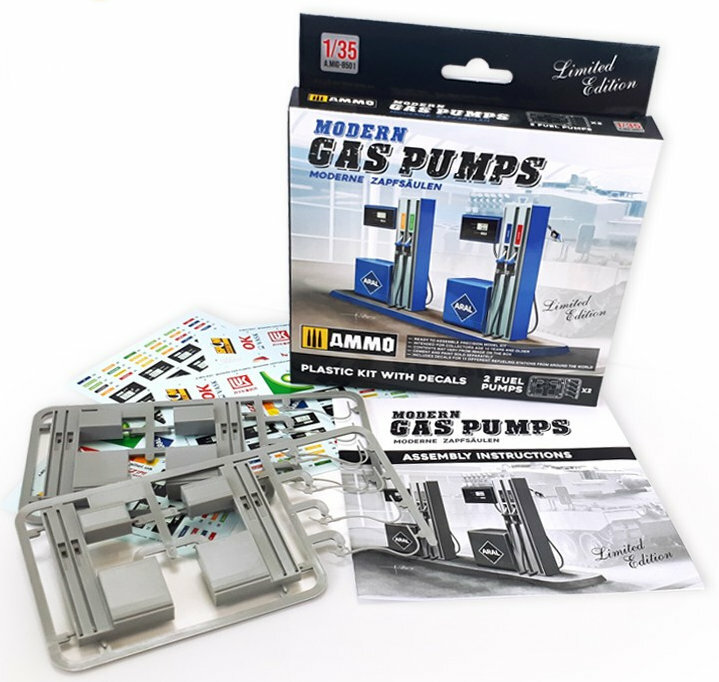 AMMO of Mig Jimenez presents the highly detailed modern civilian gas pump kit, a true gem offering endless possibilities to a wide range of modellers. 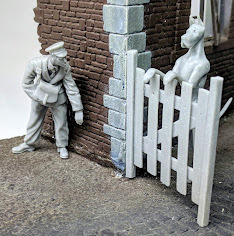 This addition to their line of plastic kits offers a new world of possibilities to compliment your dioramas, vignettes or displayed as its own unique model. 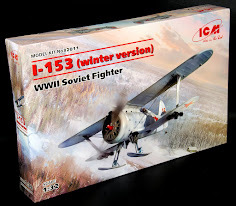 This original subject provides high quality and fine detail with ease of assembly. 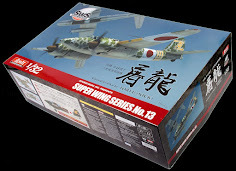 In addition, this unique kit provides 2 fuelling stations, further expanding the modeller's options for both civilian and military displays. 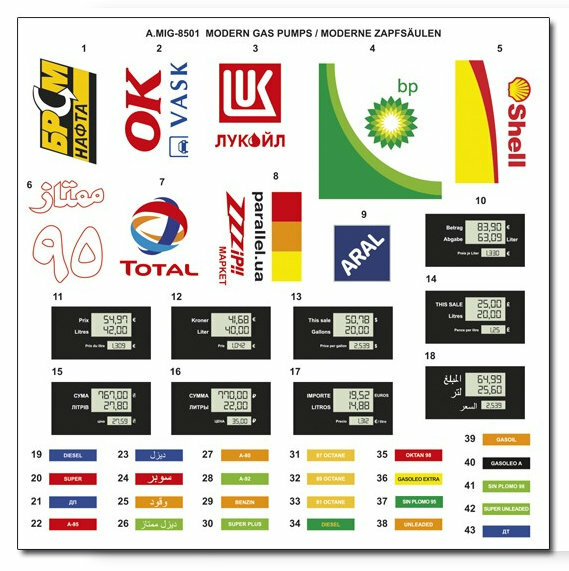 The Modern Gas Pump kit contains a complete set of over 40 decals accurately representing the locations of virtually any modern conflict or country. 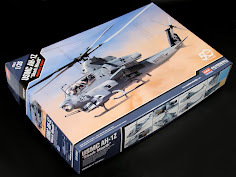 The detailed assembly guide clearly illustrates the accurate placement of all markings and logos for a thoroughly realistic and unique display. 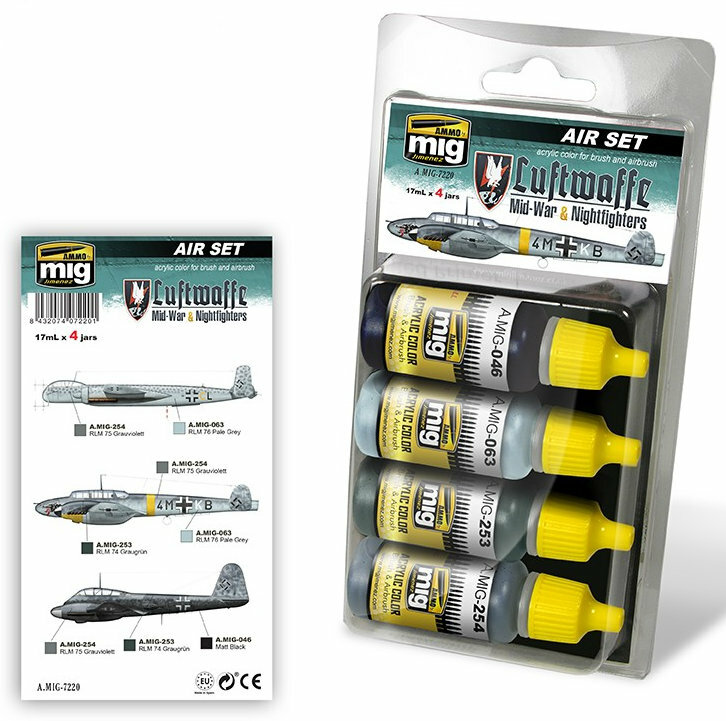 High-quality acrylic paints specially formulated to represent Luftwaffe camouflage of the mid-years of World War II, as well in nightfighters. 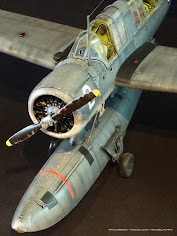 With these colours, modellers can accurately paint most of the aircraft used within this period, from the well-known Bf 109, Bf 110 and Fw 190 through to the nightfighters such as the He 219 or Me 410. 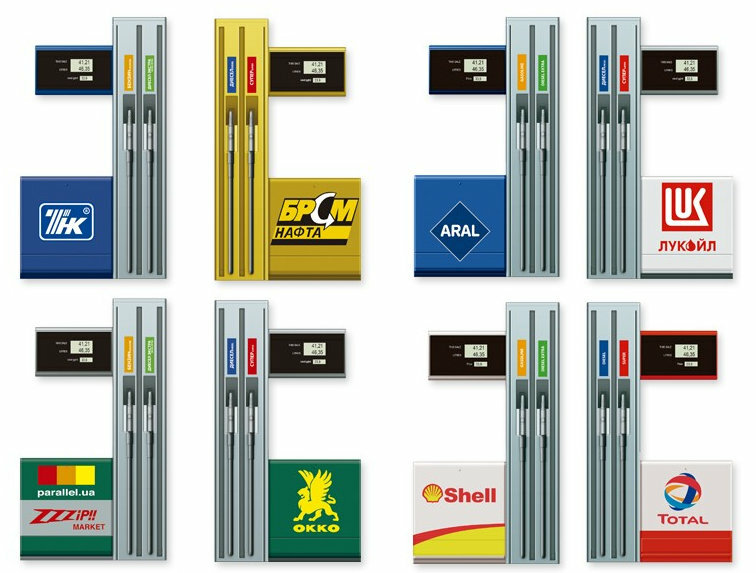 This set resolves the issues of choosing the correct accurate colours for your models, saving valuable time. 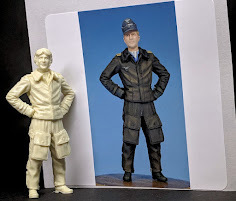 These colours are based on RLM and Federal Standard and are exact colours, although slightly lightened to compensate for the scale effect of any model. Each colour is optimally formulated to obtain the maximum performance with both brush and airbrush. Set contains 4 colours in 17mL containers. Shake well before each use. Each colour includes a steel agitator to facilitate the mixing of the paint. Water soluble, odourless, and non-toxic. 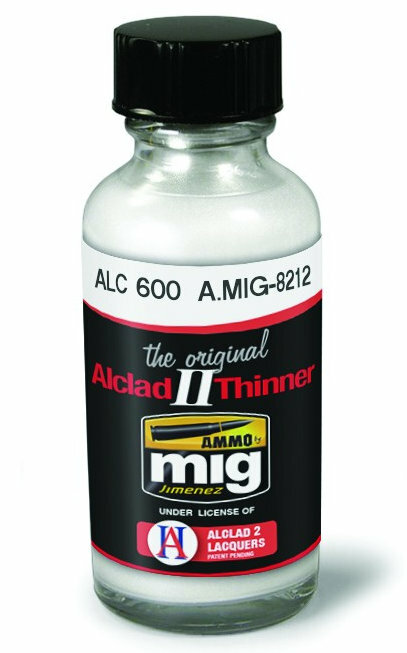 AMMO recommend A.MIG-2000 Acrylic Thinner for correct dissolution. Colours dry completely in 24 hours. High-quality acrylic varnish. Ideal for protecting all types of lacquer, semi-polish, enamel, or acrylic paints such as AMMO, Tamiya, Gunze, and Alclad II. 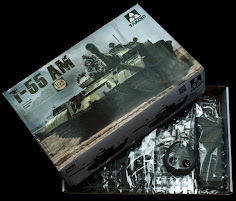 It provides a durable and smooth surface for applying decals or weathering effects with any type of product. The ideal varnish for a perfectly clear gloss finish used to seal and protect metallics. 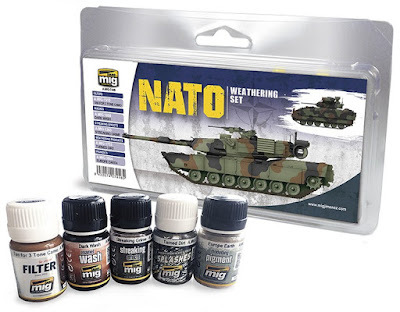 Set of 5 colours for weathering and finishing vehicles with NATO camouflage schemes. Essential weathering and finishing set for vehicles with NATO camouflage schemes. This set includes the most suitable products for this task: a wash, streaking, a filter, a pigment, and a product for mud splashes. 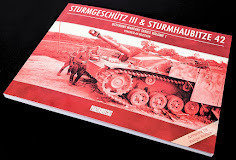 These references can be used for any vehicle with the standard three-tone camouflage of NATO, each effect specifically chosen for these colours for creating a wide variety of effects and realistic finishes. 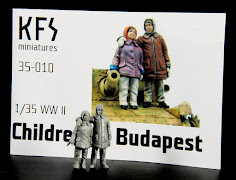 They can be used individually or combined for a range of finishes. 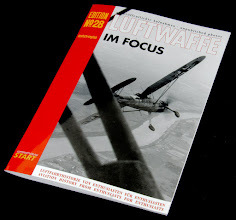 170+ pages including hundreds of photos. 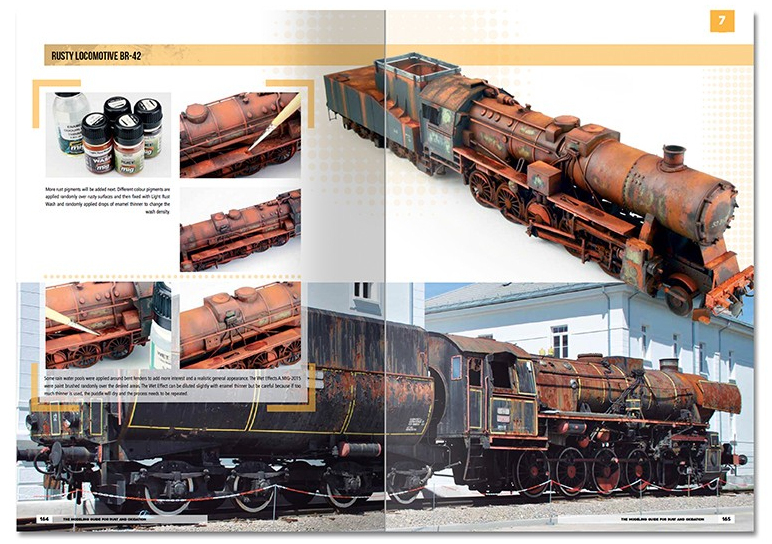 The effects of rust and oxidation in its many forms are increasingly popular with modellers of all subjects and scales. 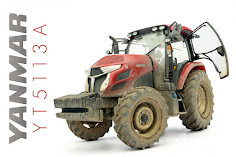 Because of the appearance of rust is infinitely varied based on materials and environment, modellers often misunderstand and misinterpret rust, leading to unattractive and unrealistic models. 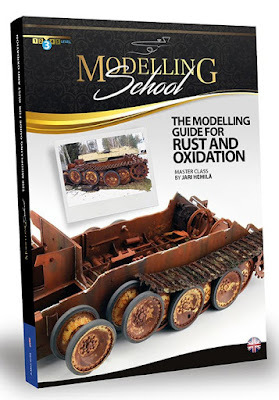 This book removes any doubts the modeller may have by clearly familiarizing the reader with various types of rust and the techniques used to create dynamic and realistic oxidation effects. 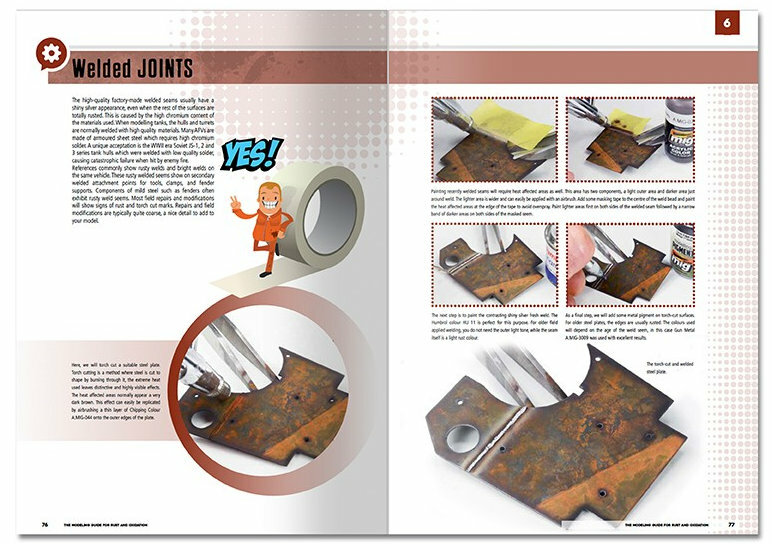 The author Jari Hamillä has dedicated many years to studying the effects of rust and how to accurately represent realistic oxidation, his passion and dedication to the subject will reward each reader with new ideas, tools, and innovative techniques. 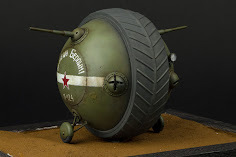 The Modelling Guide for Rust and Oxidation offers the unique opportunity to improve your skills and your next project. 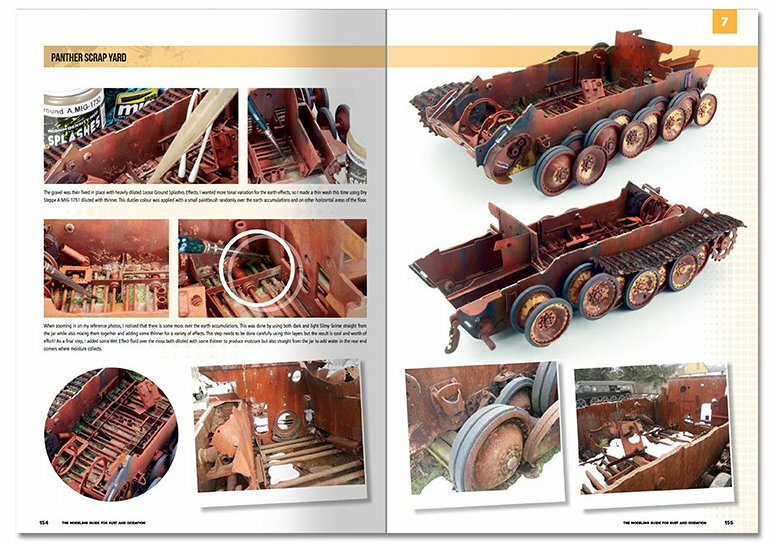 This comprehensive guide begins by examining how to approach each rusting project, starting with planning and special considerations for this type of model. 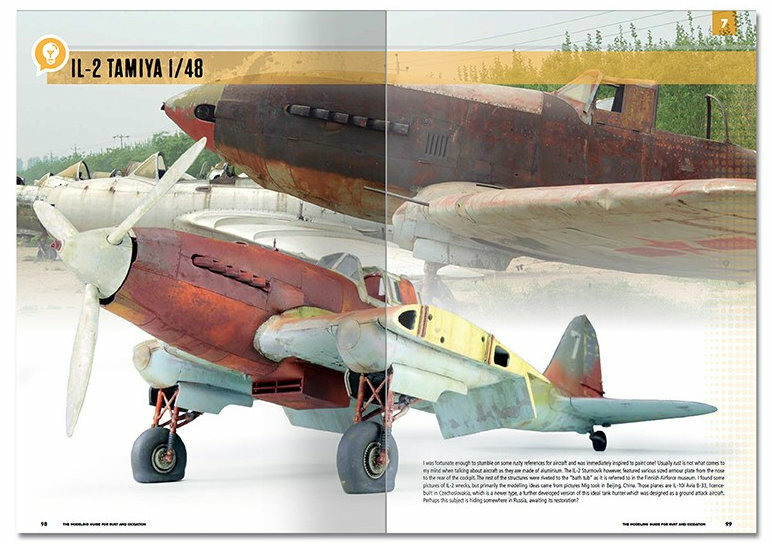 Every step in the art of painting realistic and visually interesting oxidized vehicles is clearly explained and demonstrated within 170+ pages including hundreds of step by step photos. 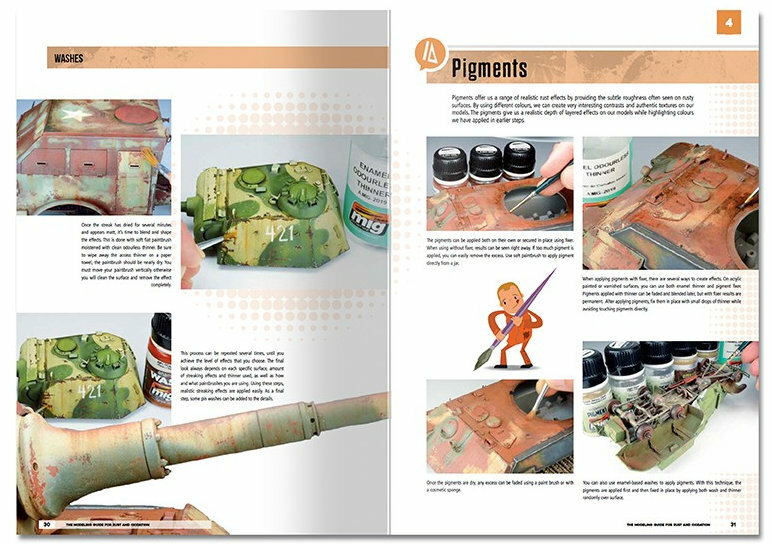 Rust forms in a wide variety of patterns and colours, here AMMO show the reader how to recreate them accurately. 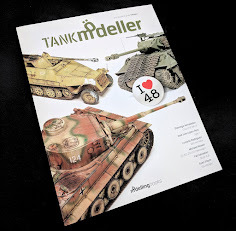 This comprehensive guide was written to serve as an easy to use essential tool for the modeller’s workbench, while also providing a wealth of inspiration for your next project. 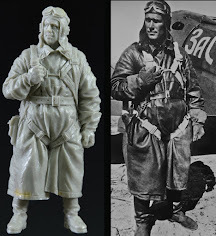 This useful tool will serve modellers who are new to painting rust as well as those seeking to advance their skills. The Modelling Guide for Rust and Oxidation is suitable for all rust loving modellers of all genres, scales, and skill levels. High-quality pigment, superfine and made with natural products for exclusive use in modelling. 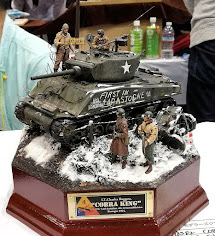 This unique colour is specially designed to achieve effects in your models using the techniques that Mig Jimenez created more than a decade ago. With this tone, you will obtain a polished hyper-realistic metal finish by simply rubbing the pigment on a previously painted surface. 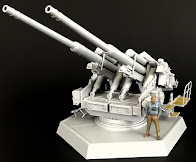 Ideally suited to be combined with Gun Metal pigment A.MIG-3009 for beautiful and accurate weapons, tow cables, and exposed metal. 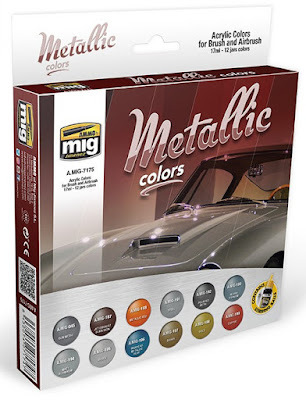 This set was specially designed to provide you with the essential colours used to paint any model in metallic colours. This exclusive set includes 12 different metallic tones, perfect to achieve different shades and finishes depending on the type of metal we want to represent. These colours will allow you to obtain the most realistic finishes on aeroplanes, military vehicles, civilian subjects, and spaceships. 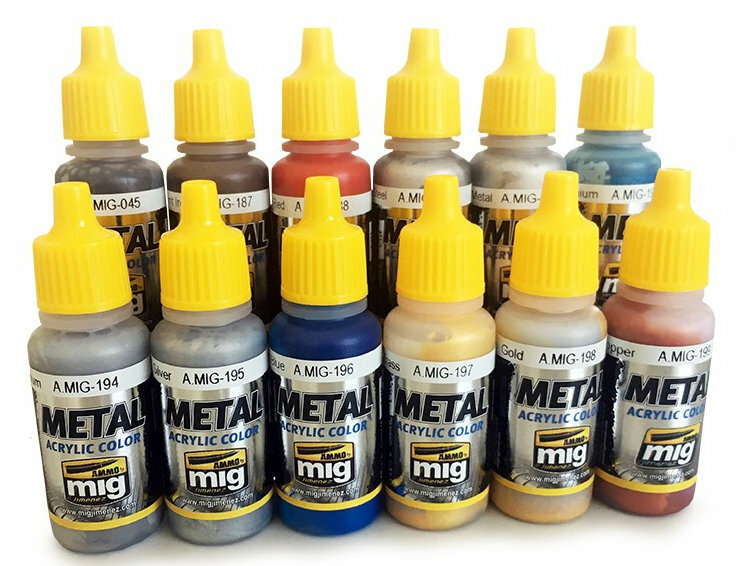 This set makes the colour choice simple and convenient with 12 metallic colours in 17 mL jars. Water soluble, odourless, and non-toxic. Shake well before each use. Each jar includes a stainless-steel agitator to facilitate thorough mixing. 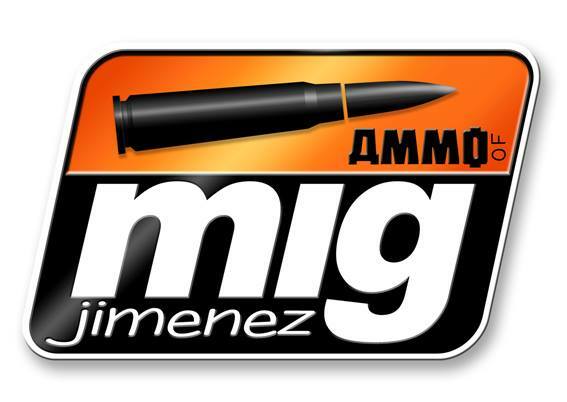 AMMO recommend A.MIG -2000 Acrylic Thinner for correct thinning. Colours dry completely in 24 hours.